After impressive stints in local, provincial and national jobs, Mr. Wang gained two posts in 2007: membership on the 24-member Politburo and appointment as party secretary of Guangdong, China’s most populous province and the government’s minilaboratory for more progressive policies. Almost immediately, he talked of “thought emancipation” and the need to pioneer changes—and just as quickly hit head winds. Wang is a Member of the Political Bureau of the CPC Central Committee, secretary of the CPC Chongqing Municipal Committee, and chairman of the Standing Committee of the Chongqing Municipal People's Congress. From 1972 to 1976 Wang was a worker and workshop director of a food factory in Suxian Prefecture, Anhui Province. From 1976 to 1979 he was a Teacher of the May 7th Cadre School of Suxian Prefecture, Anhui Province; deputy head of one of its teaching and research section; and member of the school's CPC committee. In 1979-1980 he was a student majoring in political economy in a program for theoretical publicity cadres at the Party School of the CPC Central Committee1980-1981 Teacher of the Party school of the CPC Suxian Prefectural Committee in Anhui Province. 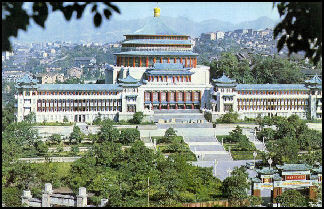 In 1981-1982 Wang was Deputy secretary of the CYLC Suxian Prefectural Committee in Anhui Province. In 1982-1983 he was Chief of the publicity department of the CYLC Anhui Provincial Committee. In 1983-1984: Deputy secretary of the CYLC Anhui Provincial Committee. From 1984 to 1987 he was Deputy director of the Anhui Provincial Commission for Physical Culture and Sports and deputy secretary of its Leading Party Members' Group. In 1987-1988 he was Director of the Anhui Provincial Commission for Physical Culture and Sports and secretary of its Leading Party Members' Group. From 1988 to 1992 Wang was Deputy secretary of the CPC Tongling Municipal Committee, Anhui Province; acting mayor and mayor of Tongling (1989-1992: studied Party and government administration in an on-the-job undergraduate program of the Correspondence School under the Party School of the CPC Central Committee). In 1992-1993 he was Director of the Anhui Provincial Planning Commission, secretary of its Leading Party Members' Group, and assistant governor of Anhui Province1993-1993 Deputy governor of Anhui Province. From 1993 to 1998 he was a Member of the Standing Committee of the CPC Anhui Provincial Committee, and deputy governor of Anhui Province. From 1993 to 1995 Wang participated in an on-the-job graduate program run by the Department of Administration Science, Chinese University of Science and Technology, and graduated with a master's degree in engineering; March-May 1997: student of a further studies course for provincial and ministerial level cadres at the Party School of the CPC Central Committee). In 1998-1999 he was Deputy secretary of the CPC Anhui Provincial Committee, and deputy governor of Anhui Province. From 1999 to 2003 Wang was Vice minister of the State Development and Planning Commission, and member of its Leading Party Members' Group (September-November 2001: student of a further studies course for provincial and ministerial level cadres at the Party School of the CPC Central Committee). 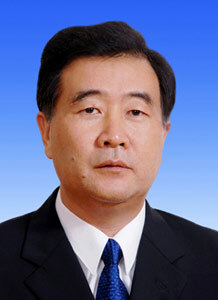 In 2003-2005 Wang was the Deputy secretary general of the State Council (at the ministerial level, in charge of the routine work of its General Office), and deputy secretary of the Leading Party Members' Group of its organs. In 2005-2006 Wang was Secretary of the CPC Chongqing Municipal Committee. In 2006-2007 he was Secretary of the CPC Chongqing Municipal Committee, and chairman of the Standing Committee of Chongqing Municipal People's Congress. In 2007 he became a Member of the Political Bureau of the CPC Central Committee, secretary of the CPC Chongqing Municipal Committee, and chairman of the Standing Committee of Chongqing Municipal People's Congress, secretary of the CPC Guangdong Provincial Committee. His other titles include: Alternate member of the Sixteenth CPC Central Committee, and member of the Seventeenth CPC Central Committee and its Political Bureau. Lin Jiang, an economics professor at Sun Yat-sen University, said Mr. Wang tried to carry out a basically sound policy too hastily, costing him crucial local support. Still, like other academics, Mr. Lin credits him with reaching outside traditional circles for fresh points of view. On the political front, Mr. Wang began a campaign for “Happy Guangdong,” derided by critics as empty sloganeering. Mr. Wang launched the "Happy Guangdong" campaign in 2011, pledging to focus on improving living standards while slowing GDP growth in the province of 104 million people that pioneered China's economic reforms and has long been seen as a bellwether of the country's future. But he also spoke more seriously of officials’ need to heed the ‘sunken voices’ of the masses. In June, he declared that “the economic rights of some of the grass roots have not been protected and their political rights are not being realized.” Solving those problems, he added, is more important than ‘singing and praising glories.” Many took that as a jab at Bo Xilai, the ambitious party secretary of the Chongqing municipality who has pushed to revive Maoist culture and is often portrayed as Mr. Wang’s rival. Mr. Wang's campaign has been undermined by a series of high-profile labor and land disputes this year, including riots by hundreds of migrant workers in the cities of Zengcheng and Chaozhou. The rioters attacked government offices and overturned police cars over several days in June. Are Wang Yang’s Liberal Credentials Overblown? None of that came to pass. “The plan was really bold and probably too radical,” said Xiao Bin, an economics professor at Sun Yat-sen University. At a meeting in August 2008 in Shenzhen, he said, he warned Mr. Wang and others that “anything so comprehensive coming out of Shenzhen would send shock waves around the country—and ultimately backfire. Instead, Mr. Wang approved more mundane administrative reforms in a relatively obscure district called Shunde, combining 41 government departments and their parallel party structures into 16. Scholars say the new structure is more efficient, with fewer party functionaries lacking clear duties. Mr. Wang also allowed Guangzhou, the provincial capital, to publish its budget for the first time in October 2009. While a national law passed the previous year allowed Chinese citizens to request such information, it also gave officials wide latitude to withhold it to protect state secrets or society’s interests. Indeed, on the same day that Guangzhou posted figures for 114 agencies online, Shanghai declared its budget a state secret. So many people tried to view the Guangzhou budget that the Web site’s server crashed. After angry citizens complained that the city had allocated more than $11 million to operate kindergartens for the children of government workers, the city agreed to gradually reduce the subsidy. Guangdong also made it easier for nongovernmental organizations like charities and environmental groups to register as legal entities. As of next July, organizations no longer will be required to find a “responsible supervisor” —typically a government-run organization with a party committee—to sponsor their registration. Provincial officials say the change that could aid the development of civil society in a province where the number of nongovernmental organizations already is rising more than three times as fast as the national average. If such loosening is unorthodox, it is nothing compared with the risks Mr. Wang could face by taking a more tolerant approach to antigovernment protests. Chongqing Peoples Hotel Wang Yang and Bo Xilai appear to offer two divergent visions of the direction that China might go in the future. The two are also believed to have different patrons. Wang is believed to be backed by Chinese President Hu Jintao, himself a former Communist Youth Leaguer, who visited Guangdong three times since Wang became party chief. Bo recently received public backing from Xi Jinping—a fellow princeling—who visited Chongqing for a two-day tour in December 2010, where he heaped praise on Bo for his accomplishments, including the red campaign and the war against the triads. Wang is considered a protege of Wen Jiabao. At the annual session of the National People's Congress in 2011, Chinese Premier Wen Jiabao said: "We must not only make the cake of social wealth bigger through economic development, but also seek to better divide the cake through a rational and reasonable distribution system." Since then, a debate has raged over which should be prioritized: making "the cake" bigger or dividing it more fairly - Wang and Bo have taken extreme sides. On July 3, Bo told a guest from Hong Kong that Chongqing under him had taken a different road of development from other provinces. Chongqing had put better division of "the cake" as a higher priority than making the cake bigger. Citing Deng Xiaoping's saying that, "some people must be allowed to prosper first but the ultimate goal is for common prosperity", Bo said, "Some people in China have indeed become rich first, so we must seek the realization of common prosperity." A week later, on July 10, at a forum on rural economy held in Chongqing, Bo reiterated that Chongqing would not wait until it became "developed" to study a reasonable distribution of wealth and common prosperity. The next day, at a Guangdong provincial party committee in Guangzhou, Wang publicly expressed the opposite view. "To make the cake bigger we must still concentrate on economic development. In other words, division of the cake is not a priority right now. The priority is to make the cake bigger ... This is not a new idea but it gains new meaning when we stress on it right now." That two politburo members hopeful of promotion into the core of Chinese power would publicly take diametrically opposed views has surprised observers. While some say the difference can be put down to regional motivations, others point to the pair's political upbringing. Keith B. Richburg wrote in Washington Post, “The rivalry has spilled into other areas. When Bo took over Wang's job as party chief in Chongqing, he immediately launched a crackdown on organized crime and the mafia, or triad gangs, which some analysts took as a slap at his predecessor. 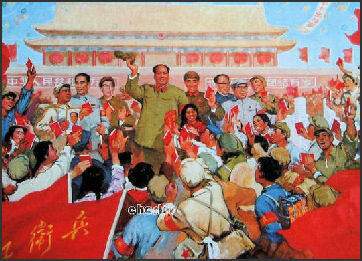 Also, although Wang has experimented with allowing a relatively open news media and reforms, Bo has shifted to a “new left” stance, encouraging a “Red Culture” campaign that includes the singing of Communist “red songs” and operas, launching a “Red Twitter” microblogging site to promote Mao-era slogans, and ordering Chongqing’s television stations to broadcast patriotically themed programs. Wang replied by saying people’s everyday problems could not be solved through political campaigns. As the top leader of Guangdong, Wang has to demonstrate his capacity to boost the local economy and keep the province's leading role in the national economy. Wang's views also suit the current political mood of the leadership. Hu, in his speech at a grand ceremony to mark the CCP's 90th birthday on July 1, said, "In a time to come, we must still firmly adhere to the [Deng's] strategic idea that 'development is of overriding importance'." By comparison, Bo can take a more laid-back approach to Chongqing's development. While Chongqing is a municipality, 95 percent of its land area is rural. Its economy is much less developed compared with Guangdong and coastal areas. Hence, the costs of production remain relatively much lower, enabling it to attract investment from overseas and more developed regions in China, including Guangdong. However, the contrast could be down to different political beliefs. When Bo was appointed Chongqing party chief at the end of 2007 to replace Wang, he quickly launched a "hard strike" campaign to crack down on underground gangs. Senior officials working under Wang were netted for corruption and "collusion" with the gangsters, which was interpreted as a slap on Wang's face. Bo has put his beliefs into practice. The Chongqing government has allocated 300 billion yuan in recent years to subsidize education, medical care and housing in rural areas. It has also set a goal to reduce the local Gini co-efficient, a measurement of the wealth gap, to 0.35 from the current 0.42. Chongqing has a party committee devoted to working out policy principles on narrowing wealth gap. In contrast, when Wang became Guangdong party chief in late 2007, he called for further "emancipation of thought" and deepening reform and opening-up. "Emancipation of thought" was a slogan initiated by Deng to encourage liberal ideas to pave the way for his reform and opening-up policy. Recently in an online chat with netizens, Wang said "We [communist officials] should allow ordinary people to swear at us if we are not doing a good job." In today's China where the wealth gap is large and expanding, it is not hard to see that Bo's views are more welcomed by the public. Angry netizens say now the "cake" in China is already quite big, and the problem is that only a small minority "who prospered first" can take a bite. But political battles in China are silently conducted within the CCP. No outsiders can presume whose views will fall out of favor before next year's 18th congress. Bo Xilai-Wang Yang Love Fest? None of that is especially noteworthy, given that one major focus of the Hu leadership has been to recentralize economic decision-making at the top, in part by breaking down the barriers on inter-provincial trade and compelling regional officials to answer to Beijing.What’s stunning about the meeting, however, was the mutual admiration that appears to have broken out suddenly between political rivals Bo Xilai and Wang Yang, the Communist Party chiefs of Chongqing and Guangdong respectively. In his public remarks published in Chongqing Daily and reprinted in the central media , Bo was lavish in his praise of Wang, his predecessor in Chongqing, saying that “today, we sit together with Comrade Wang Yang [who] during his time in Chongqing led us all to lay the foundations, worked for long-term plans and significant events, and gave important meaning to the present conditions of the people of Chongqing.” Bo went on to say that when he spoke to Wang, he was “brimming over with true feelings”, noting that “the old saying of the first step is the most difficult” applied to Wang’s contribution to Chongqing’s present development. All of this from the same Bo Xilai who has not been at all shy about making a clean sweep of Wang’s legacy, especially as Wang is considered by many officials there to have skipped town abruptly, leaving behind a city they saw as half-completed and in social disarray. For his part, Wang Yang said that even after he departed Chongqing, he “remained concerned” with its well-being, even so far as to plant a native tree from Chongqing downstairs from his office to watch its development. Passing it every day after he left work, Wang said, he was reminded of his time there. While his praise of Bo personally was spare and not nearly as effusive as the remarks made by his successor, Wang noted that he was “emotionally gratified and proud” of the progress made in Chongqing since his exit, implying that Bo was not the disruptor he had made out to be, but a fine economic partner. What’s going on? For all the good fellowship displayed at the meeting, these two remain competitors. After all, Bo has made his national name recently by remaking Chongqing and being different from Wang where politics is concerned. Bo’s methods—the Chongqing political model— emphasize the red glare of populism and nostalgia amid the gleam of urban reconstruction. Wang, on the other hand, has been promoting the notion of a wider responsibility for government in Guangdong; that Party officials should be judged not on the renovations they produce, but the social happiness they provide for a public pressed by the stresses and strains of modern city life. While Bo may be pining for a return to politics practiced by the masses, Wang wants to reorient politics towards the masses, away from a focus on elites and infrastructure exclusively. The problem for both Bo and Wang is that the central leadership does not need any more rivalries; it’s riven quite enough by debates about how to handle the economic slowdown and what should be done about those sections of society here that are growing increasingly disgruntled...Unfortunately for Bo and Wang, the space for fighting has naorrwed. The hardline center in the Party still holds the advantage. Bo and Wang have been brought to heel. Their inclusion the economic summit here depended on their willingness to come to some common ground and to do so publicly. It would be nice to think that Bo and Wang have made amends, that some middle ground in the political landscape has finally been reached. But Bo and Wang did not jump; they were pushed. And while the joint announcement said that the accord was “a win-win,” the ultimate victor in the meeting was neither Chongqing nor Guangdong. It was Beijing that prevailed, showing that sometimes the center can hold. With order restored, local officials vowed to investigate the villager’s land-grab claims. Two village party officials were fired and the authorities made an offer that is rare in China’s top-down political system: county party officials would negotiate with a group of village representatives chosen by popular consensus. A butcher named Xue Jinbo was among the 13 people chosen. It is unclear what happened next, but villagers say the goodwill evaporated in November and December after a Lufeng County government spokesman condemned the earlier protests as illegal and accused Wukan’s ad hoc leaders of abetting “overseas forces that want to sow divisions between the government and villagers.” A few days later, residents took to the streets again and staged a sit-in. Authorities responded by sending in a group of plain-clothes policemen who grabbed five of the representatives, including a local butcher. Two days later, he was dead. According to a 24-year-old villager who described himself as the butcher’s son-in-law, his knees were bruised, his nostrils were caked with blood and his thumbs appeared to be broken. The protests peaked after the butcher’s death and ended after negotiations between villagers and province officials. An NPR report described the Wukan struggle as a conflict that “began as a property dispute” and “escalated into an open revolt” and became “one of the most serious episodes of unrest that the Chinese Communist Party has faced in recent years.” The Wukan events are important because they underscore just how much anger there is in China over efforts by unscrupulous developers and corrupt officials to take advantage of rural landholders. Hu Deping, eldest son of the late reformist general secretary Hu Yaobang, said the problem of farmers’ land rights in this rapidly urbanizing country was “one of the most important issues” facing China now, and he said the problem was more pronounced in Guangdong, which began the reform process earliest. “If the Wukan incident is solved well, it will definitely have a positive impact on the overall reforms,” said Hu, a senior party official who recently wrote a book about his father’s reform efforts in the 1980s. The decision won him praise in the Communist Party’s flagship newspaper, People’s Daily, which called it an act of “political courage” in a tense situation. Some analysts said it might have strengthened his already strong prospects to land a seat on China’s elite ruling body, the nine-member Standing Committee of the party’s Politburo, when a wave of mandatory retirements vacates seven of the seats this coming year. And in fact, while Mr. Wang has sometimes talked boldly about how power should not be concentrated in a “minority of elites,” many liberal-minded analysts characterize his own initiatives in Guangdong as modest, at best. “Wang Yang’s problem is when you try to make reform happen inside the system, if you go too fast you hurt the interests of others, and they will gang up on you to eliminate you,” Mr. Zhang said. Wang’s peaceful settlement of Wukan’s uprising earns praise in Beijing now. But that could turn into accusations of soft-heartedness and strategic miscalculation should his conciliatory approach lead to more and bolder protests. Even some of Guangdong’s local party cadres do not seem fully onboard. Consider the Dec. 19 outburst from Zheng Yanxiong, the party secretary of the city whose territory includes Wukan, two days before Mr. Wang’s emissary settled the Wukan villagers’ grievances.